When our clients find themselves in copyright disputes, our Denver law firm has an excellent track record of resolving the dispute in their favor. Defend your interests in copyright disputes. When you are ready to generate revenue from your copyrights, you will appreciate our copyright attorneys´ experience preparing copyright license agreements and copyright assignment agreements to obtain royalties from third-parties. Let our copyright attorneys help you work effectively with artists by preparing legally enforceable work-for-hire agreements. 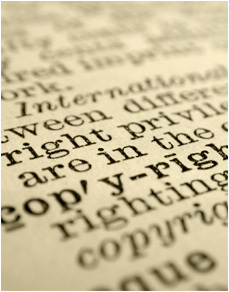 If you find yourself in a copyright dispute, our copyright attorneys have an excellent track record of resolving copyright disputes in our clients´ favor.